FRESNO COUNTY (KFSN) -- Authorities have identified the young driver in a deadly single-car crash in Fresno County. 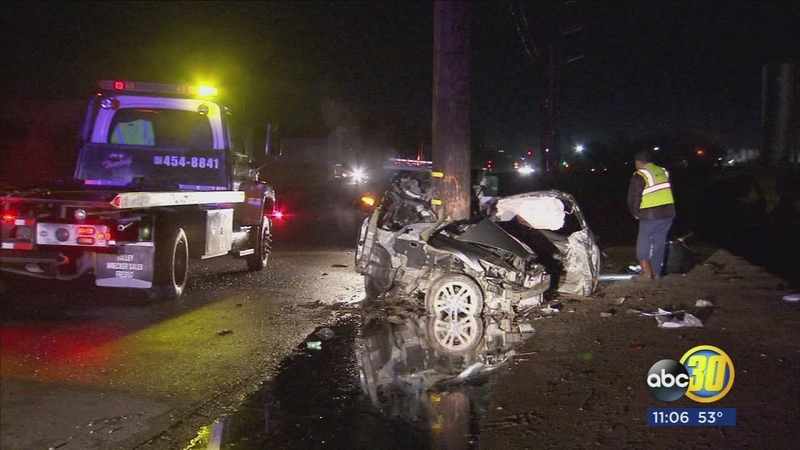 The sheriff's office said 18-year-old Alexis Hernandez was killed Tuesday night when his car hit a power pole. It happened just after 8:00 PM on Chestnut near Annadale. The Highway Patrol also responded to the scene. For unknown reasons, the car drifted off the road. Emergency crews found him pinned inside his car and managed to pull him out but he lost both legs in the crash and died on the way to the hospital.